If there’s one thing that separates Suicide Squad from other superhero films, it's that it (ironically) mostly stars supervillains. This movie is chock full of villainy, from the team members themselves to the antagonist the villains are rumored to face off against. If the lineup already announced isn’t bad to the bone enough for you, evidently the 2016 blockbuster isn’t done including evildoers. 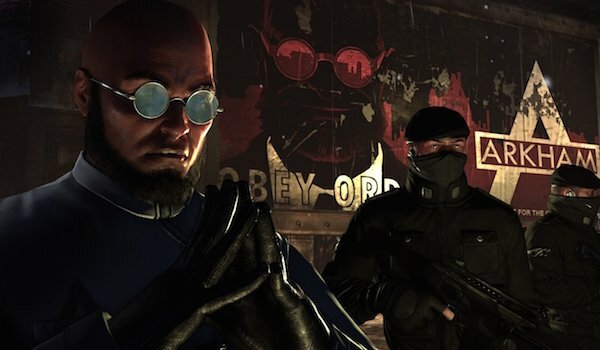 Now it’s being reported that Suicide Squad will be payed a house call by Batman villain Dr. Hugo Strange. In the film, Strange will reportedly be the psychiatrist at the prison where Joker is being held, and will have several scenes with both the Clown Prince of Crime and Harley Quinn. Despite being part of the story, Latino Review says they have yet to hear any castings or casting choices for the character. Principal photography is scheduled to begin next month, so if Strange’s inclusion is legitimate, ideally a casting announcement will come out in the coming weeks, if not sometime during the production. Hugo Strange was one of the first supervillains Batman faced in the comics, debuting several months before Joker and Catwoman in 1940. Although originally introduced as a stereotypical mad scientist, he was later changed to a psychiatrist who is a master of biology and behavioral psychology. He is one of the few adversaries who has discovered Batman’s secret identity, and his experiments have led to turning others into mindless monstrosities. Strange has appeared in several animated shows, like Batman: The Animated Series and The Batman. His position as psychiatrist at the Belle Reve prison in Young Justice strikes many of the same beats as his potential role in Suicide Squad, though it was soon revealed in that series that he was working with the super villain group The Light. Non-comic book fans would likely recognize him as the main antagonist from the 2011 video game Batman: Arkham City, where has was the warden of the titular prison facility. Depending on how they want to deal with him in the DCCU, Strange could make a good villain for one of the Batman solo films. In a world where we’ve had several big-screen interpretations of Joker, Two-Face, Catwoman and Bane, the mad psychiatrist would not only offer something new to the general moviegoing audience, but be a worthy and dangerous enemy for the Caped Crusader. However, if he’s interacting with Joker on a regular basis in this film, then his chances of survival are not looking good. Suicide Squad will hit theaters on August 5, 2016.